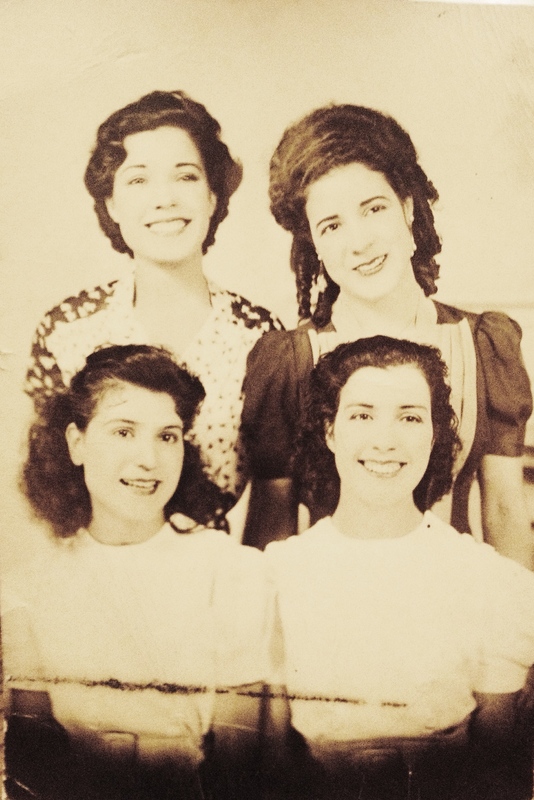 This is a photo of a picture my grandmother had of my great-grandmother Carmen Vargas Marin and her sisters. 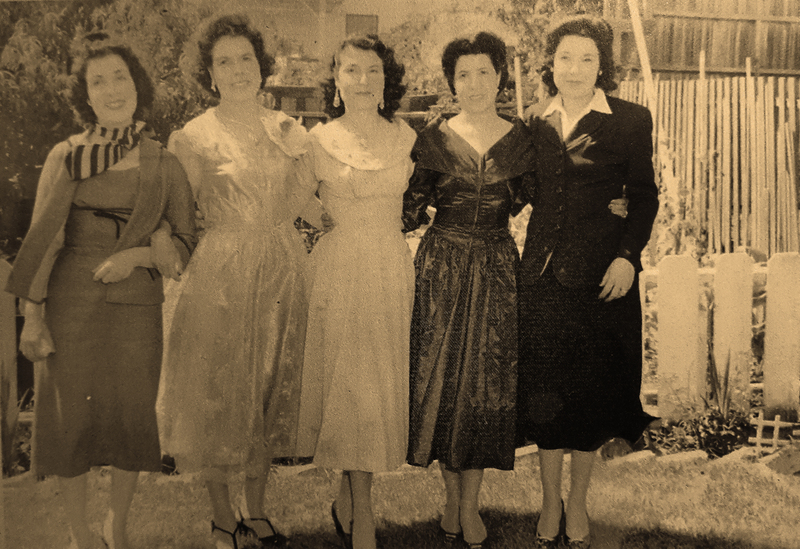 From the top, left to right, Consuelo Vargas Marin [1912-2005], Nieves “Nancy” Vargas Marin [1914-? ], Lucy Vargas Marin [unknown], and Carmen Vargas Marin [1906-1984]. 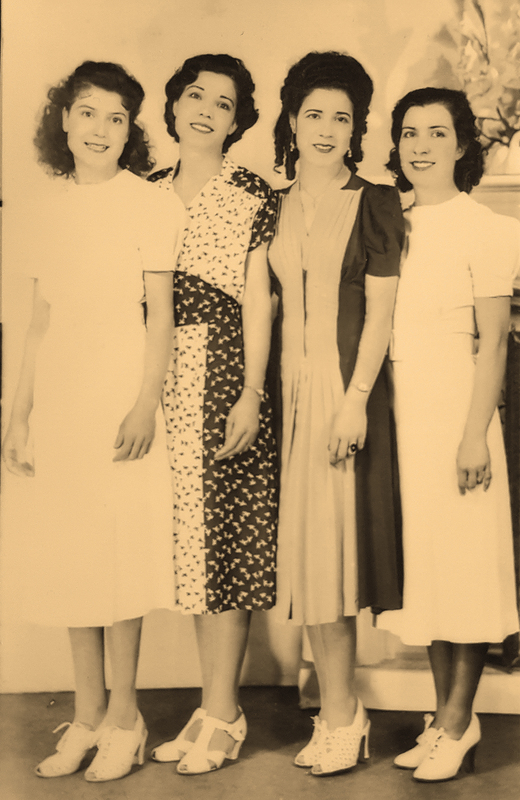 There were originally six Vargas sisters, but two of them died in their late teens. All of them were born in Mexico and worked in the canneries in San Francisco after the family emigrated, according to my uncle Art. The Vargas family immigrated to the U.S. from Jalisco, Mexico, in the early 1900s, including husband Mariano Vargas Ramos, wife Candelaria Marin Hernandez and their eight children. The children were still little, so they were essentially raised in San Jose, Calif., growing up speaking heavily accented English but also Spanish at home, and most of the girls married young, according to my uncle Art, who is the son of Atenojenes. After Candelaria died in 1930, Mariano and the unmarried siblings, Nieves and Atenojenes included, decided to return to Mexico. I would date this composite image in the early to mid-30s based on the “Barberan y Collar” wording. Barberan and Collar were Spanish aviators — Mariano Barberan y Tros de Ilarduya and Joaquin Collar. 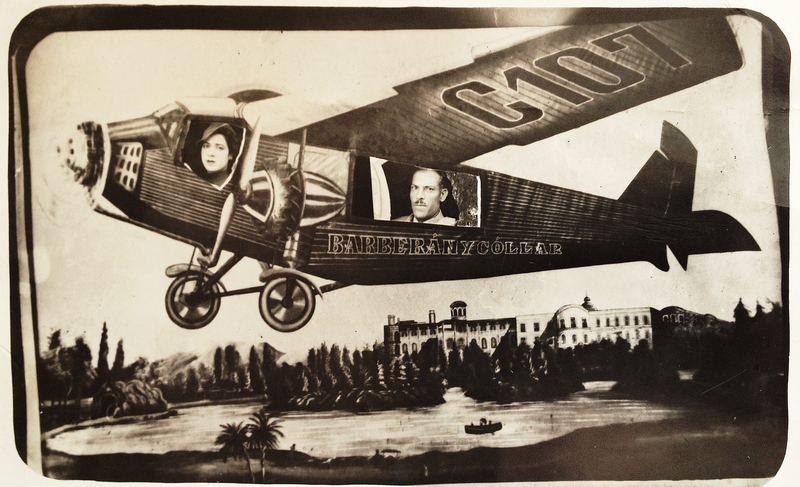 They flew a plane across the Atlantic Ocean from Spain to Cuba in June of 1933, according to The Biography. Later that same year, the plane headed for Mexico City but was intercepted by a storm and they were never to be seen again, according to The Biography.